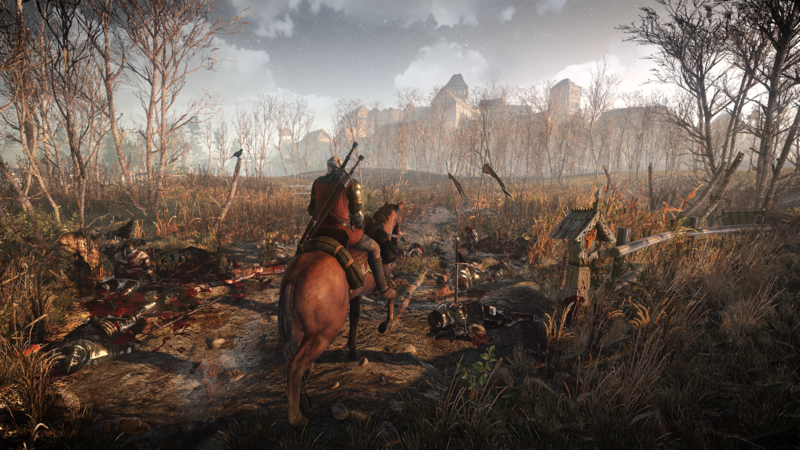 Three new screens from The Witcher 3: Wild Hunt make Geralt's bleak world look more beautiful than ever. The world of The Witcher has always been gorgeous in the ugliest way possible, with stunningly lush renditions of some truly horrible scenes. Remember when that sleazy governor had the Scoia'tael sympathizers on the hangman's scaffold and you thought you were going to save everyone (especially the pretty elf girl) because you're The Hero, and then, whoops, nope, down they go for a good ol' neck-stretching? 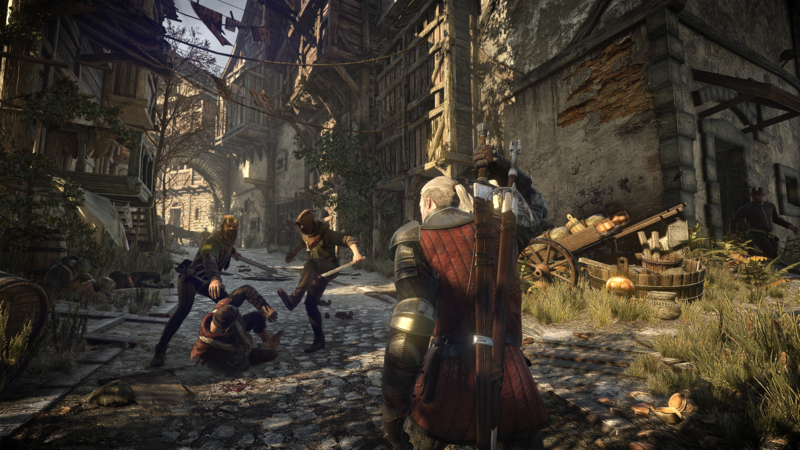 That's how things go in The Witcher and based on these screens, that's how they'll remain in The Witcher 3: Wild Hunt. There's Geralt riding through the scene of a brutal, bloody battle, surrounded by butchered corpses; and there's Geralt riding through a steaming swap, avoiding what looks to be a marauding war party while a village burns in the background; oh, and there's Geralt about to mix it up with a couple of local thugs who are stomping the life out of a destitute homeless man with a broken arm. But look at that detail! The light and shadows, the detail of the weapons and armor, the exposed ribcage of the dead horse - you can practically taste the desperation! CD Projekt Red released the screens to mark today's launch of its new forums, which I suppose is good news if you're a regular user. 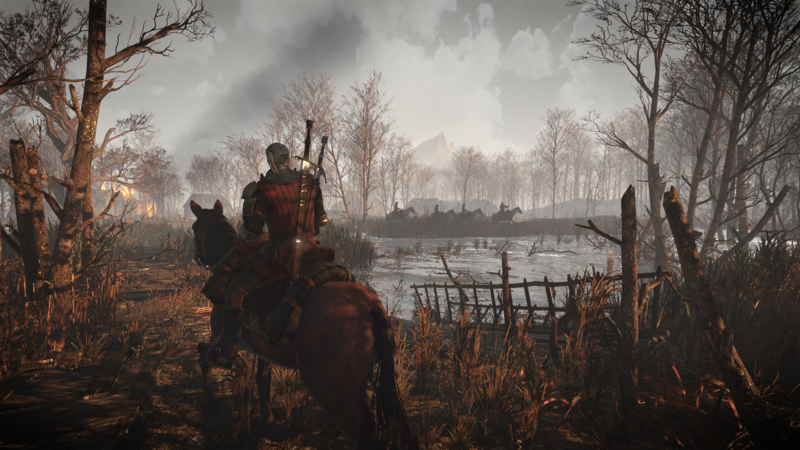 The forums now offer a number of new rooms, including one dedicated to everything related to The Witcher 3, and yes, your old login info will still work as it did. The Witcher 3: Wild Hunt is currently in development for the PC, PlayStation 4 and Xbox One, and is expected to launch sometime this year.